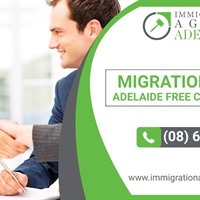 If you aspire to move to Australia and build a remarkable career and get the most comfortable life, we at Immigration Agent Adelaide will help you choose the right visa stream from the number of available options. Our migration agents follow the step-by-step process and will begin with identifying the visa options available at the Department of Home Affairs that suits your condition best. If you possess the required education, skills and relevant working experience which Australia demands than you can migrate to the country with employer sponsored or skilled visa, if you run a profitable business in your home country which meets the investment amount criteria (in AUD) than business or investment visa is ideal for you, if you want your parents, partner or child to join you in Australia than you may choose the parent, partner or child visa respectively. We will first analyze your situation and depending on your needs will help you migrate to the wonderful nation smoothly. Our migration experts can help you best in getting the right category of Australian visa and will guide you through the entire procedure. We also help our clients get the Australian citizenship however the entire process may vary depending on your visa and residential history in Australia.